Conquer dirt and debris with the new Warrior cleaner. Deploy the sturdy, compact cleaner into your inground pool and win the battle against leaves, sand and other hard-to-clean debris. Its two-wheeled design and programmed steering cycle help maneuver the Warrior over pool bottoms, up 90 degree floor-to-wall angles and into hard-to-reach corners. Sure-Flow Turbine Dirt & debris pass through easily to avoid clogging. 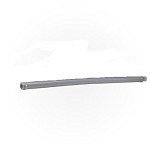 Roller Skirt Cleans over obstacles. Programmed Steering Cycle Assures complete and thorough pool cleaning coverage. Quick-Release Latch provides Top access for easy serviceability. 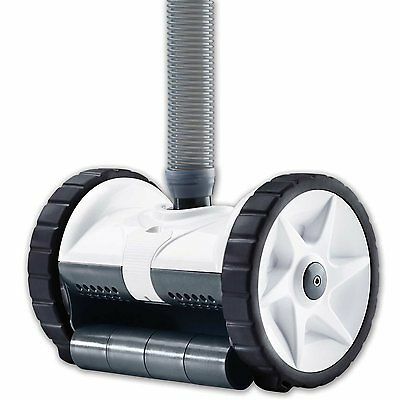 Cleans floors and walls up to the waterline. 40 ft. of Hose Included. Had a Hayward Navigator and it would get stuck in the corner ALWAYS. Did some research and decided on the Warrior (same as the Rebel) and it is AWESOME. Never gets stuck with those wheels and the wheel has a hump so it never gets stuck on the drain. Pool is always clean. Hope it continues but right now its working fantastic. Pool Cleaning Part had the best price and shipped it immedidately. Win Win! I prefer the Warrior over the retail store variant. The white and gray colors are perfect for my pool. Works great. Thanks again. This product was recommended by our pool service after our original vacuum broke. They said that they had this same model for over 3 years and have never had to service it. I am very happy with the performance of this cleaner, it does a great job. I was able to install in about 15 minutes with most of that time spent connecting up the hose pieces for the correct length for my pool. It all went to together seamlessly and then went right to work. For us, the unit arrived in a couple of days with all the correct pieces and clear instructions. I highly recommend this product. 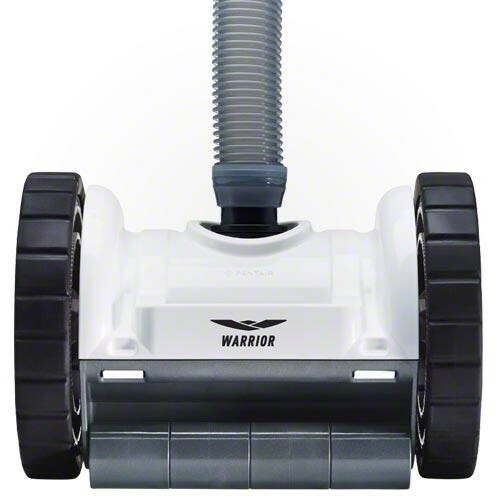 The Warrior pool cleaner is well made and does its job, if it doesn't get stuck on the pools bottom drain cover. I have had to lift it off of the cover many times to keep if from being stuck in one spot.